CME has partnered with several advanced third party benefits administrator, in order to provide you with innovative technology-based benefits and compliance solutions. 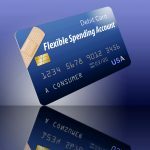 We bring an innovative approach to administering your flexible spending account (FSA) plans. The hi-touch and hi-tech service approach will dramatically improve your workforce’s perception of the FSA plan and boost participation. Your organization will derive more value from your FSA plan in terms of goodwill and tax savings. Help your employees save money on out-of-pocket, routine medical expenses. An FSA allows employees to set aside pre-tax dollars from their paycheck for eligible healthcare expenses. Participation decreases their taxable income, and in turn, decreases your costly FICA tax burden. Designed to be used in conjunction with a high-deductible health plan (HDHP), HSAs are quickly becoming the go-to employee benefit account. HSAs are triple tax-advantaged: employees will not pay taxes on contributions, nor will they pay taxes on interest earned or upon withdrawal for qualified expenses. As an employer, you’ll save on high insurance premiums by offering an HDHP. HRAs are employer-funded tax-advantaged accounts, designed to help employees save money on the high costs associated with healthcare. Employers save money by migrating from first-dollar coverage to a high-deductible health plan (HDHP) without having to increase their employees’ out-of-pocket exposure. A DCA is an extension of an FSA and is designed to pay for the daily care of an eligible child or adult dependent. Funds can be used for expenses such as daycare, before- and after-school programs, eldercare, pre-school, and more.